Due to a mess-up in the organising of the Contest, there is a week wait until our match. We didn’t know who would be our competitors, as it could be either of two teams. The Map they played, and the one that we miss was Upward. It’s a Payload map. The goal is for BLU push a bomb cart in to RED Base, while RED tries to stop them getting to the base under a certain period of time. At certain points, the period of time that RED needs to hold the base is extended. In this case, the track goes up a mountain. The Video of TehLemon and myself posted a few month ago was on this map. 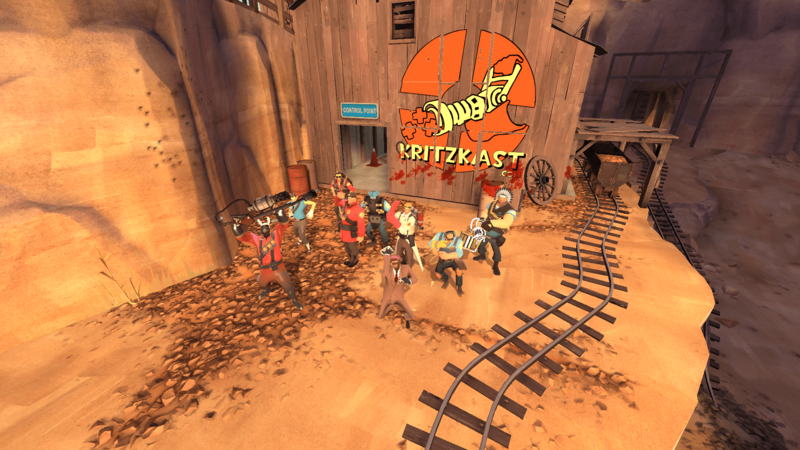 As Team Kritzkast is made up of Public Players, we like this map. We’re disappointed that we had to skip this map. As for Our Rivals for our next match is Nervous Energy, on Granary. This match could be on TF2TV.com Live at 8:30 pm BST/ UK time. I’ll post a new post just before I’m playing, if we are being shown. Of course, if we are on TF2TV.com live, we will also be on Video on demand after the match.